Sleep Source – Paradise Valley is a franchise store associated with the AVB buying group. This affiliate with over 2,800 stores gives us the purchase power second to none. This means local ownership and personal service at no extra cost. 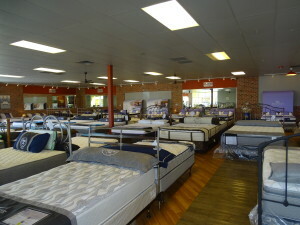 The 5000sqft show room, located on 4848 E Cactus Road has a warm, comfortable atmosphere with a cross selection of mattresses that have been time tested for quality and durability. Pride in this product and responsibility to the customer has been Rodney Young’s trade mark. A pure five star Yelp review and A+ Better Business Bureau rating will attest to this. As an alternative to online guessing and high pressure competition, this Sleep Source store offers you a personally selected bed at a guaranteed low price. This is a major purchase for you. Getting it wrong can bring you years of discomfort. Talk it over with an expert that has dedicated his life to knowing the ins and outs of this industry.